If any of you are a loyal follower of my blog (not many I guess based on the dismal figure of my nuffnang $$$. hehe), you would have noticed that I've not been updating here for, let's see.....more than a week! Well, 1 week is a long absence for not blogging, at least for me. I've been busy, yes. And no, I haven't been baking. I've been so busy that I've no time to go blog hopping or even flipping through my baking books. My poor red baby is sitting on my kitchen top collecting dust. So what have I been doing? I've been doing scrapbooking. I actually went to Smidapaper @ Straits Quay to look for some stuff for Shern's upcoming birthday. And once there, I was hooked. I used to frequent Smidapaper years ago before Shern was born. Was a newbie and still is a newbie in scrapbooking. 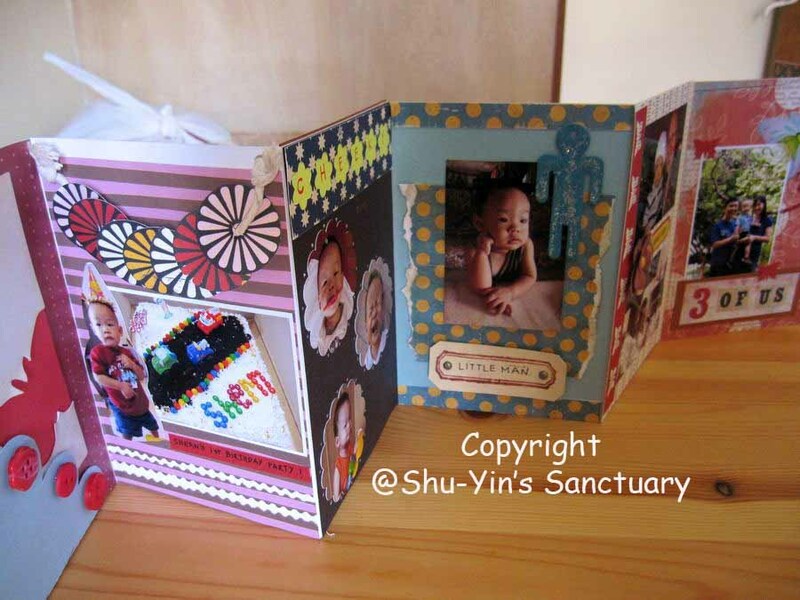 Once there I was so inspired to create a Mini Album for Shern after seeing all the beautiful things in store. After a big hole in my pocket, I went home and immediately did a Mini Accordian Album (largely inspired by a mini album class I attended many years ago) of Shern. This is a sneak peak of it. I am lovin' it. After that I went back to the store and the girls there knows me well now. Then I saw the beautiful cards displayed in the store and I wanted to make some. So inspired by Cindy Lee and Josie, I created my first card using scrapbooking materials. I am not sure how long this scrapbooking phase will last. 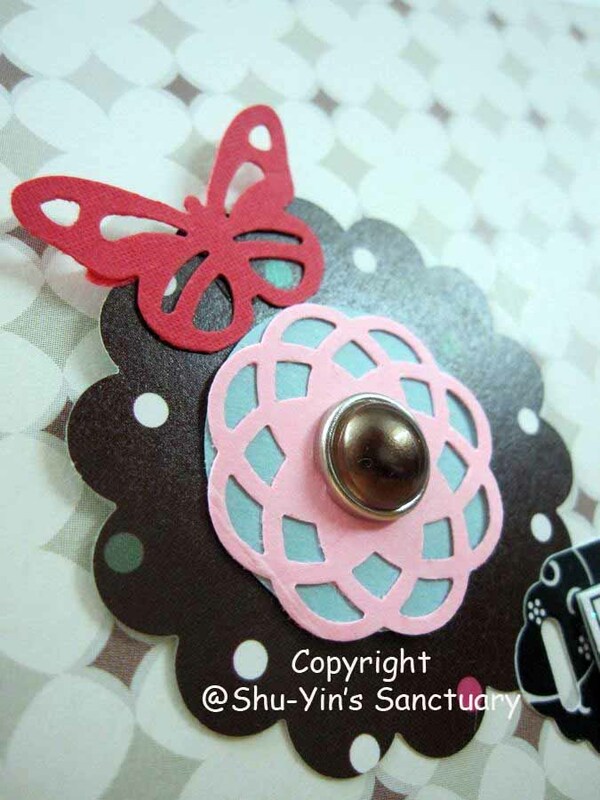 I like scrapbooking but I hope it won't turn feverish...haha. Because the stuff at Smidapaper is freaking expensive but very beautiful.